The following is my second analysis of a portion of Brett Kavanaugh's testimony during his hearing before the Senate Judiciary Committee on 27 September 2018. JOHN KENNEDY (beginning at 3:45:39): I’m — I’m sorry, judge, for what you and your family have been through. And I’m sorry - for what Dr. Ford and her family have been through. It could have been avoided [long pause] Do you believe in God? JOHN KENNEDY: I’m going to give you a last opportunity, right here, right in front of God and country. I want you to look me in the eye. Are Doctor Ford’s allegations true? BRETT KAVANAUGH: They are not as to me. I have not questioned that she might have been sexually assaulted at some point in her life by someone, someplace. But as to me, I’ve never done this - never done this to her or to anyone else. And I’ve talked to you about, ah, what I was doing that summer of 1982. But I’m telling ya I’ve never done this - to anyone, [stutter] in- including her. JOHN KENNEDY: Are Ms. Ramirez’s allegations about you true? BRETT KAVANAUGH: Those are not. Um, she — ah, no — no — none of the witnesses in the room support that. Ah, the — if that — that had happened, I would have been the talk of campus, ah, in our freshman dorm. The New York Times reported that as - recently as last week, ah, she was calling other classmates seeking to — well, I’m not going to characterize it — but calling classmates last week and - just seemed very - um - I’ll just stop there. But it’s not true. It’s not true. JOHN KENNEDY: Are Ms. Swetnick’s allegations, made by Mr. Avenatti about you, true? BRETT KAVANAUGH: Those are not true. Never met her, don’t know who she is. There’s this, a — letter released within two hours of that breaking yesterday, from I think sixty people who knew me in high school - men and women, who said it was, ah — their word’s 'nonsense' — totally, ya know, whole thing that — totally ridiculous. JOHN KENNEDY: None of these allegations are true? JOHN KENNEDY: No doubt in your mind? BRETT KAVANAUGH: Zero. I’m a hundred percent certain. 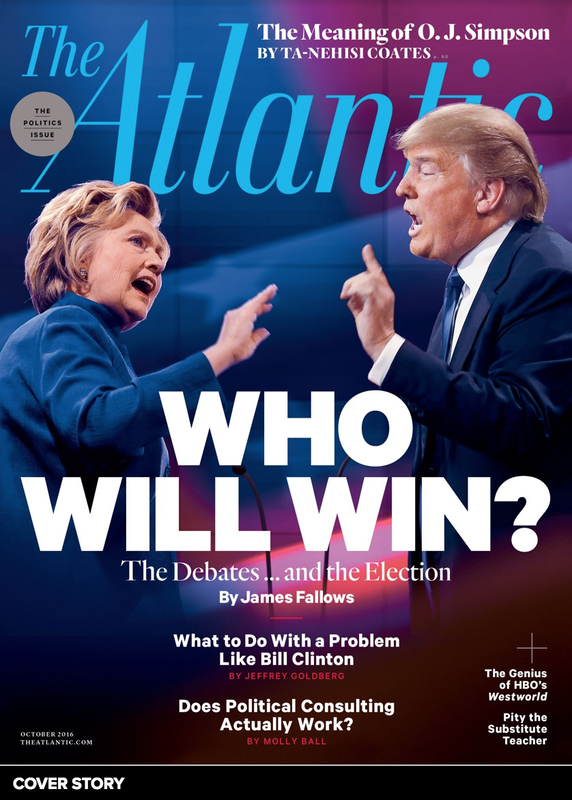 JOHN KENNEDY: Not even a scintilla? BRETT KAVANAUGH: Not a scintilla. A hundred percent certain, senator. JOHN KENNEDY: You swear to God? BRETT KAVANAUGH: I swear to God. JOHN KENNEDY: [long pause] 'at's all I have, judge. CHUCK GRASSLEY: Judge Kavanaugh, thank you very much. Hearing adjourned. 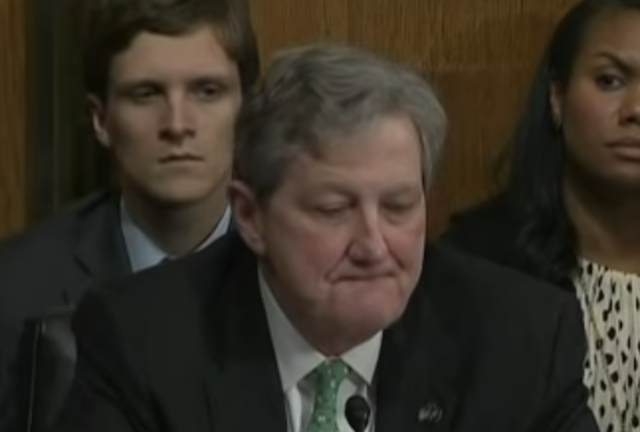 During 3:46:01, just after Kavanaugh says, "I do [believe in God]", Senator Kennedy displays a simultaneous Inward Lip Roll together with a Jaw Jut. An inward lip roll (ILR) is a nonverbal manifestation of one's psyche trying to suppress strong emotions. A jaw jut signals a surge of adrenaline. Two seconds later, during 3:46:03 - 3:46:06, Senator Kennedy scratches his left eyebrow and just above his eyebrow. This eyebrow scratch indicates, with high probability that Kennedy doubts Kavanaugh's truthfulness. We are witnessing Senator Kennedy in a moment of cognitive-emotional dissonance - for he absolutely wants another conservative Republican justice on the Supreme Court, but he doubts Kavanaugh's own belief in God. Then Kennedy goes on to say, "I’m going to give you a last opportunity, right here, right in front of God and country. I want you to look me in the eye. Are Dr. Ford’s allegations true?" Listen carefully to Kennedy's word choice and the tone in his voice. This is the precise verbiage and tone that so many parents use when giving their children one "last opportunity" to tell the truth - when they know their child is lying. Kennedy knows Kavanaugh is lying. Senator Kennedy's order of "I want you to look me in the eye" also shows Kennedy's (false) belief that if a person looks you in the eye (not breaking eye contact) and denies something, he must be telling you the truth. This is false. Eye contact during deception either increases (crucially, often to a stare) - or it decreases, with the deceptive person looking away (usually down, and more often down and to their right). 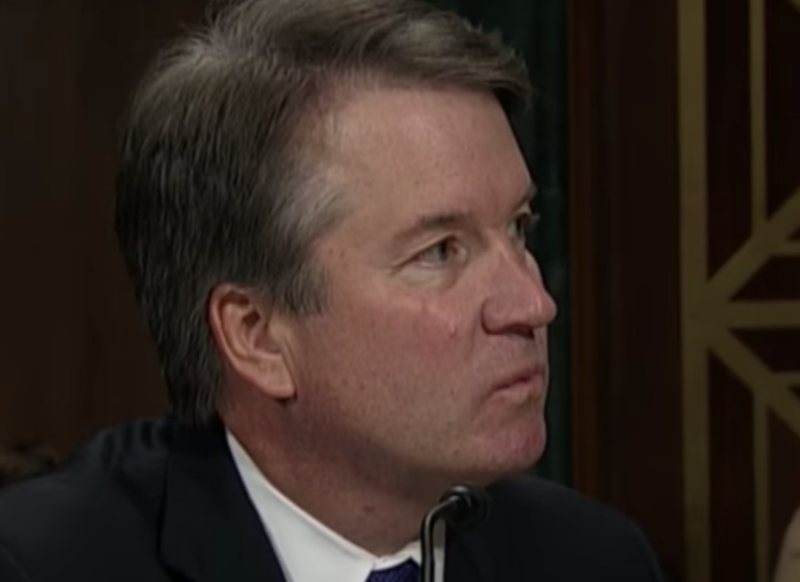 Thus, by telling Kavanaugh to look him in the eye, Kennedy removed some of the indecisiveness that a liar naturally feels during the moment of lie-telling (e.g., Where should I look? What should I do? What, exactly, should I say?). By giving him one less thing to do (skillful lying is a dramatic multitasking event), Kennedy made it easier for Kavanaugh to lie. Kennedy lightened Kavanaugh's mental-emotional load. Therefore, when you're in a position of authority and you suspect someone could possibly be lying, never say, "Look me in the eye". Don't provide them a script or stage directions. Liars lie much more easily when you choreograph for them. Never throw them a life preserver - rather let them swim in the rough seas of their own making. 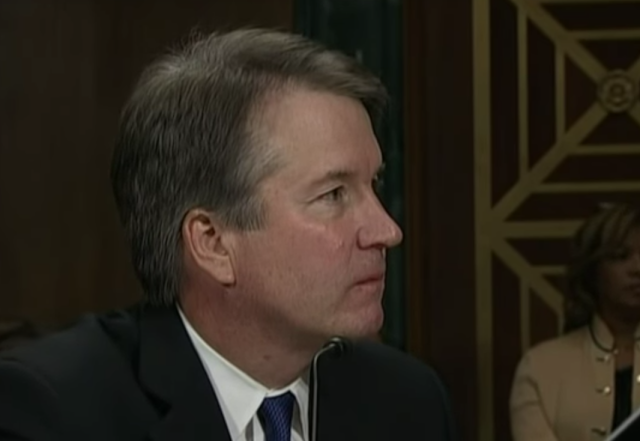 Just as Senator Kennedy says, "... in front of God ...", Kavanaugh displays a Forward Lip Purse (3:46:11, not to be confused with a lateral lip purse) as he turns his head, neck, and eyes away from Kennedy to get a drink. This gives him an opportunity to break eye contact (note, as referenced above, he's also looking down and to his right). A forward lip purse indicates a deliberate act - a lack of full disclosure of information (e.g., a clandestine plan or withheld disagreement and/or facts). 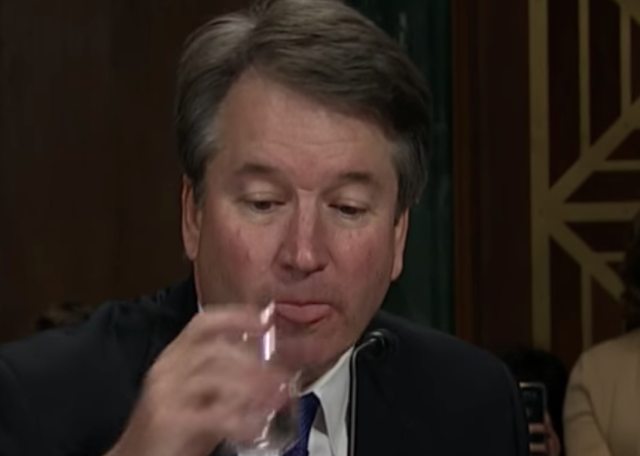 This image was captured during 3:46:12 - 3:46:14, as Kavanaugh raises the glass of water to his mouth. While some people do project their tongue in the instant before a drink, this is atypical and the tongue usually does not extend this far out of the mouth. Even if this is a normal dynamic for Kavanaugh (he did display it at other times during this hearing, although there were times he didn't), it also allows for one to exhibit a typical Loose Tongue Jut (not to be confused with a tight tongue jut or a wide open tongue jut). A loose tongue jut conveys the thought emotions of: "I've been bad", "I've done a stupid thing", and/or "I got caught". Of course, anxiety does dry out the throat and mouth, and frequent drinks of water is normal in such a context. During 3:46:16, as Kennedy says, "... eye ..." ("... 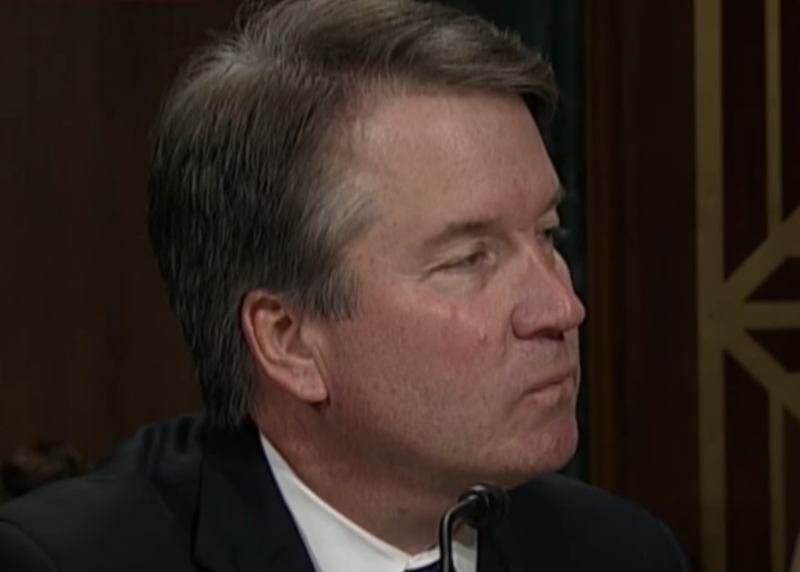 I want you to look me in the eye ..."), Kavanaugh displays an overt Macroexpression of disgust camouflaged within a sniff (in distinction to a Microexpression). 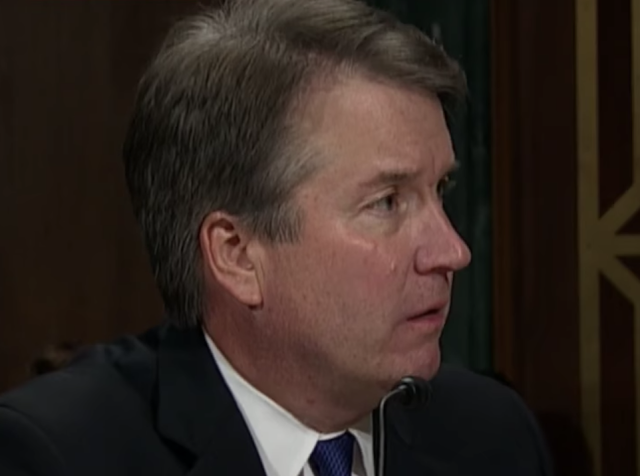 Judge Kavanaugh exhibited such disgust-sniffing many times throughout this hearing (please see the first cross-reference link below for a more detailed analysis of this specific nonverbal behavior). Five seconds later, during 3:46:21, Kavanaugh displayed a Microexpression of contempt and/or disgust (almost none of the left side of his face is showing, so these two particular emotional displays can't be differentiated in this instance), just as Kennedy says the word, "... true ..." ("I want you to look me in the eye. Are Doctor Ford's allegations true?"). It's quite subtle. View the video first at full speed, then at 1/2 and 1/4 speeds - and once again at full speed. Lather, rinse, repeat. Additionally, review it in this same manner several times a week for the next few months. 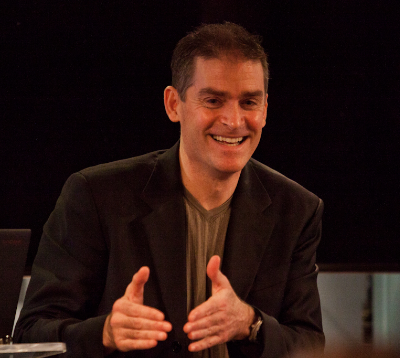 This practice will dramatically increase your ability to discern this as well as microexpressions associated with other emotions - in real time. 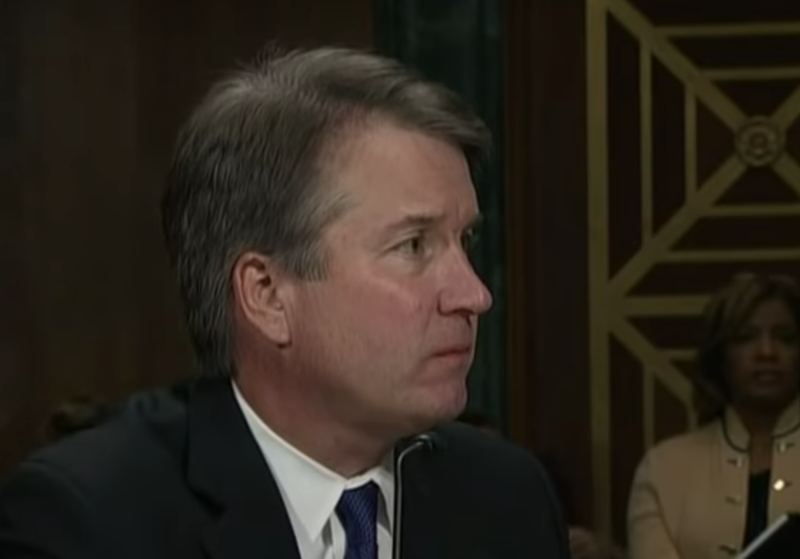 During Kennedy's questioning of Kavanaugh about allegations regarding Dr. Ford (3:46:24 - 3:46:47), although Kavanaugh denies wrongdoing, he nods his head up-and-down several times (in the affirmative) during his denials. Such verbal-nonverbal disparity is highly significant and strongly indicative of deception. 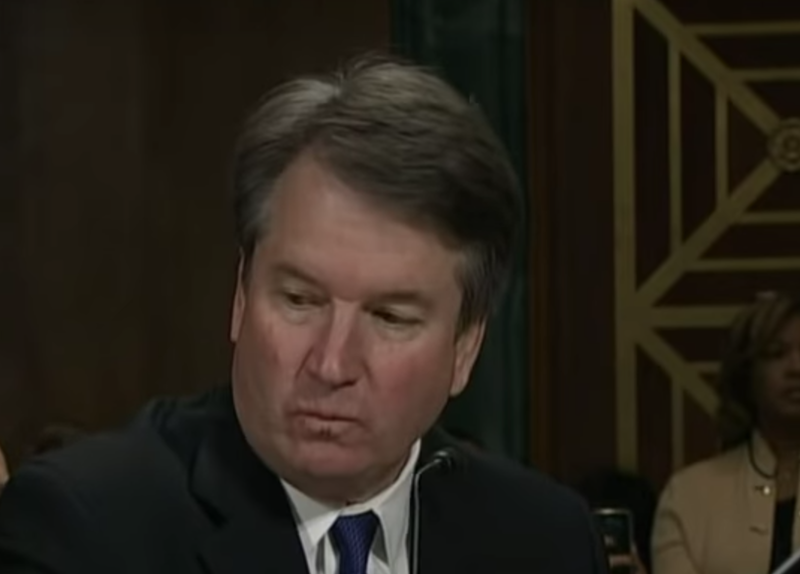 Notice too, that for this same split-second Kavanaugh displays an expression of Fear. Not to be overlooked, is Judge Kavanaugh's stuttering during 3:46:46, as he says, "in- including" ("... But I’m telling ya I’ve never done this - to anyone, in- including her ..."). During 3:46:45 - 3:46:56, as Kavanaugh says, "... to anyone, [stutter] in- including her", continuing through as Senator Kennedy asks, "Are Ms. Ramirez’s allegations about you true? ", and ongoing during a portion of his subsequent denial, "Those are not. Um, she ...", Brett Kavanaugh grips his right index finger with his left hand. Index finger gripping MAP (Manipulator, Adaptor, Pacifier) is indicative of significant anxiety. Moreover, in this context, where sexual assault is being alleged, it's particularly symbolic and suggestive of guilt. 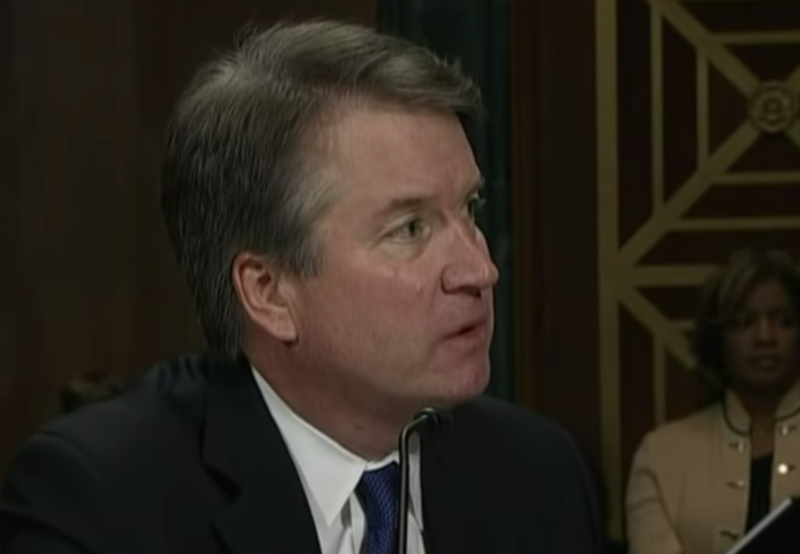 Kavanaugh displays a Hard Swallow (indicative of significantly elevated anxiety) during 3:46:48, just after he says, "I’ve never done this - to anyone, [stutter] in- including her." A person who is telling the truth rarely swallows hard after declaring their innocence. 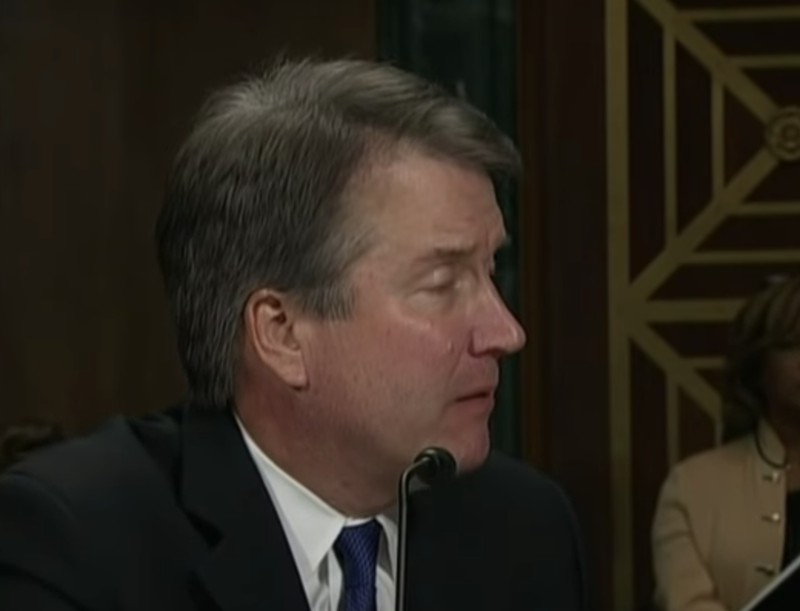 When asked, about Ms. Ramirez's allegations, Kavanaugh once more nods his head up-and-down while saying, "Those are not" (during 3:46:53 - 3:46:55). 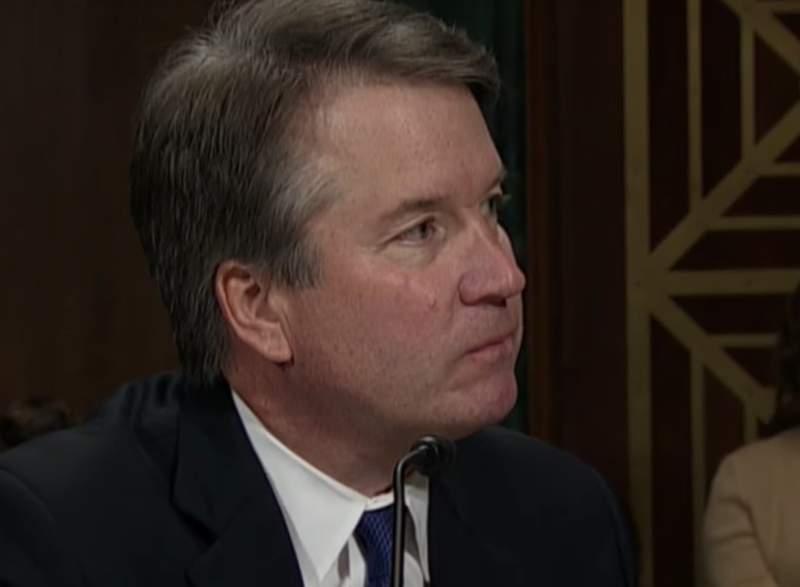 Although Brett Kavanaugh's spoken words are saying, "No", nonverbally he's saying, "Yes". Whenever there's disparity between the verbal language and the body language - it's the body language which is telling the truth. During 3:47:08, just after he says, "... our freshman dorm ...", Kavanaugh displays another classic microexpression of contempt (please watch this at regular speed and in slow motion). Brett Kavanaugh displays another Hard Swallow during 3:47:32, as Senator Kennedy speaks the second syllable of Ms. Swetnick's name ("Are Ms. Swetnick’s allegations, made by Mr. Avenatti about you, true?"). The allegations regarding Ms. Swetnick evoke a greater level of anxiety in Judge Kavanaugh (compared with those he feels toward Dr. Ford or Ms. Ramirez). 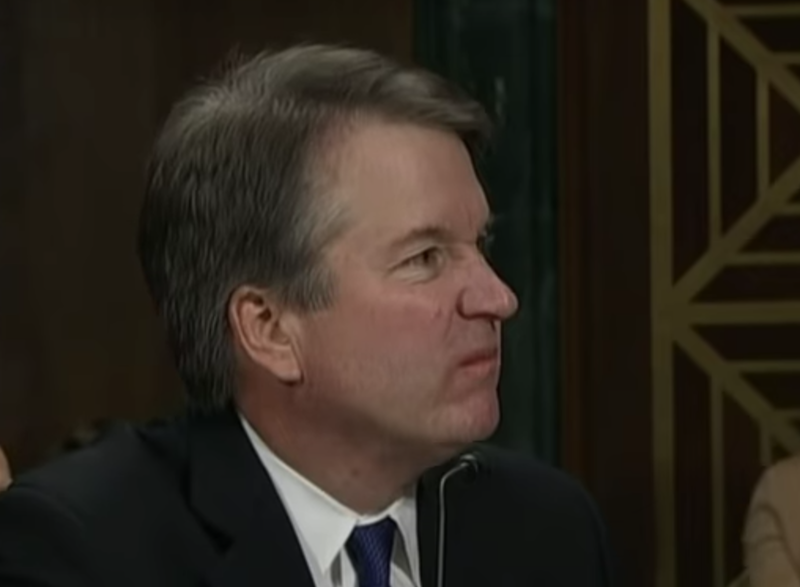 Less than a second after his hard swallow, Kavanaugh displays yet another Forward Lip Purse (still during 3:47:32). Again, a forward lip purse indicates a deliberate act - a lack of full disclosure of information (e.g., a clandestine plan or withheld disagreement and/or facts). 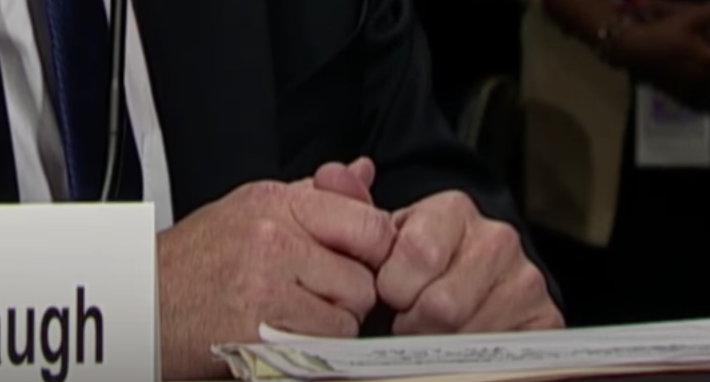 A second later, during 47:33, as Kennedy says, "... allegations ...", Kavanaugh displays another overt Disgust-Sniff (a camouflaged Macroexpression). 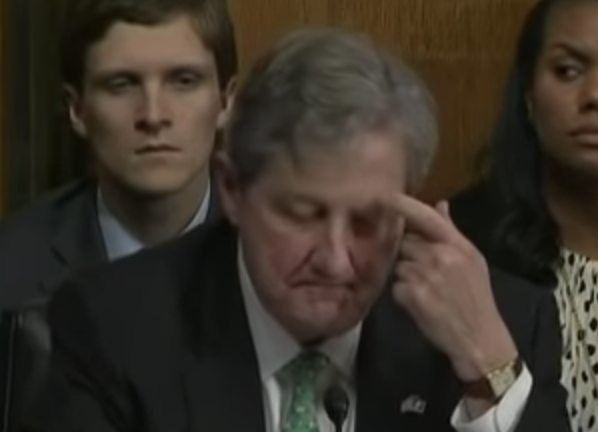 Kavanaugh displays another Forward Lip Purse (47:35) as Senator Kennedy says, "made by". Notice also, how Brett Kavanaugh omits the first person singular pronoun "I" when he says, "Never met her, don’t know who she is", when referring to Ms. Swetnick. From a statement analysis perspective, this verbal omission indicates significantly less ownership and belief in his own declarations. Such 'I dropping' is correlative with deception. Judge Kavanaugh's nonverbal behavior indicates he's lying as well as deliberately withholding information (lies of omission). He believes he is guilty of sexual assault. Kavanaugh's anxiety is particularly elevated toward Ms. Swetnick. Senator Kennedy has significant cognitive-emotional dissonance, for he also believes Brett Kavanaugh is guilty of sexual assault, yet he wants a conservative justice on the Supreme Court. Moreover, Kennedy questions Brett Kavanaugh's belief in God.